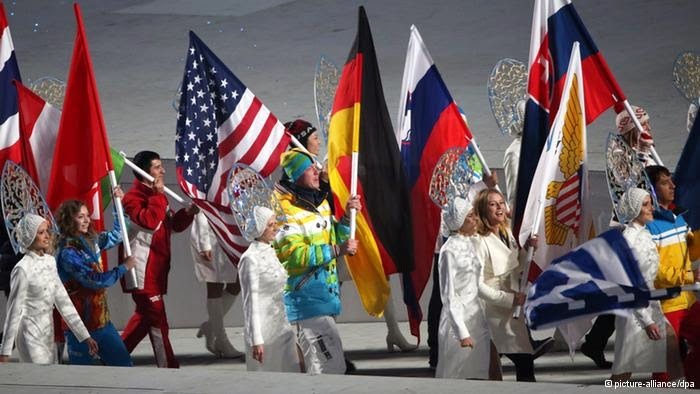 The Sochi Paralympics have ended in Russia, with the host nation's athletes topping the medals table. President Vladimir Putin thanked sporting officials for not making an issue of developments in nearby Ukraine. Russia staged the closing ceremony of the Sochi Paralympics on Sunday, with the hosts taking top spot on the medal table with 30 golds. They finished well ahead of Germany, who had nine first-place finishes, while Canada took third, with seven golds. "The games have been absolutely mind-blowing in terms of their impact, far beyond what the Paralympic Movement expected when coming here," International Paralympic Committee President Sir Philip Craven said. "They have been a spectacular showcase of sport and the power of the human spirit," he added. Russian President Vladimir Putin attended the ceremony at the Fisht Stadium, where a choreographed routine of dancers in wheelchairs formed part of the spectacle. The event took place on the same day as a controversial referendum on the Black Sea peninsula of Crimea about whether the country should secede from Ukraine and join Russia. Although concerns about alleged Russian intervention in Crimea have been voiced, the Ukrainian team remained in Sochi for the duration of the competition. Earlier in the day, Putin thanked sporting officials for "keeping the Paralympics away from politics." Ukrainian Paralympic Committee President Valeriy Sushkevych said that he feared the team could be returning to a country on the brink of greater conflict after the close of the games. He expressed a wish that Putin recognize "the danger of what we call war." Fourth place on the table went to Ukraine, which finished with five gold medals. The ceremony brought to an end the 2014 Winter Olympics and Paralympics, which began on February 7.